Situated in Alf, this property is 1.1 mi (1.7 km) from Prinzenkopf Lookout and within 6 mi (10 km) of Klosterruine Stuben and Calmont Klettersteig. Vulkaneifel Thermal Spa and Calmont are also within 9 mi (15 km). Bullay Station is 30 minutes by foot. 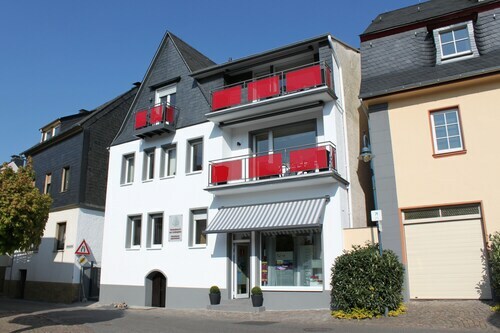 Situated in Alf, this apartment building is 2.1 mi (3.3 km) from Prinzenkopf Lookout and within 6 mi (10 km) of Vulkaneifel Thermal Spa and Klosterruine Stuben . Calmont Klettersteig and Calmont are also within 6 mi (10 km). Situated in Alf, this property is 1.1 mi (1.7 km) from Prinzenkopf Lookout and 2.7 mi (4.4 km) from Klosterruine Stuben . Calmont Klettersteig and Calmont are also within 6 mi (10 km). Bullay Station is 17 minutes by foot. Situated on the waterfront, this romantic resort is 1.2 mi (1.9 km) from Prinzenkopf Lookout and 2.8 mi (4.6 km) from Klosterruine Stuben . Calmont Klettersteig and Vulkaneifel Thermal Spa are also within 9 mi (15 km). Bullay Station is 19 minutes by foot. Situated on the waterfront, this resort is 1.2 mi (1.9 km) from Prinzenkopf Lookout and 2.8 mi (4.6 km) from Klosterruine Stuben . Calmont Klettersteig and Vulkaneifel Thermal Spa are also within 9 mi (15 km). Bullay Station is 19 minutes by foot. 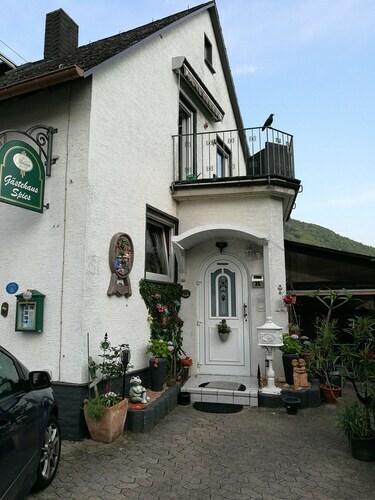 Located in the heart of Bullay, this apartment building is 1.2 mi (1.9 km) from Prinzenkopf Lookout and 2.5 mi (4 km) from Klosterruine Stuben . Calmont Klettersteig and Calmont are also within 6 mi (10 km). Bullay Station is 9 minutes by foot. Situated in Bullay, this apartment building is 1.1 mi (1.7 km) from Prinzenkopf Lookout and 2.7 mi (4.3 km) from Klosterruine Stuben . Calmont Klettersteig and Calmont are also within 6 mi (10 km). Bullay Station is only a 5-minute walk. 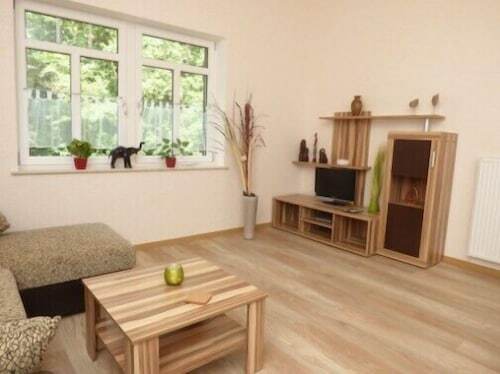 Situated in Bullay, this property is 1.2 mi (2 km) from Prinzenkopf Lookout and 2.6 mi (4.2 km) from Klosterruine Stuben . Calmont Klettersteig and Calmont are also within 6 mi (10 km). Bullay Station is only a 4-minute walk. Situated in Bullay, this guesthouse is 1.3 mi (2.1 km) from Prinzenkopf Lookout and 10.2 mi (16.5 km) from Mont Royal. Buddha Museum and Reichsburg Cochem are also within 16 mi (25 km). Bullay Station is 7 minutes by foot. If you like to develop a deeper insight into a region, you'll enjoy your trip to Burg Arras, which is a substantial and impressive example of local history. If you do decide to check it out, your journey will bring you to Alf, 50 miles (80 kilometers) from the capital of the state, Wiesbaden. There are 2 hotels in the vicinity, so you would be wise to book ahead of time. Spend a while comparing the features at the Ringhotel Bömers Mosellandhotel and Wald Villa Üssbach, located within 2 miles (3 kilometers) of Burg Arras. Are you somebody that has sophisticated tastes? You'll find a handful of upscale hotels situated just a short drive away. The Häckers Fürstenhof Wellness & Spa Resort and Moselquartier are solid choices that you should consider. If you're at Burg Arras and your stomach starts growling, make a beeline for Hotel Jägerhof (Bad-Bertricher-Straße 3, Alf). It’s a quick 0.4 miles (0.6 kilometers) away. Only 0.4 miles (0.6 kilometers) from Burg Arras is Weinhof St. Barbara (Mühlenstraße 90, Alf / Mosel), a pleasant place to enjoy a drink at the end of the day. Prinzenkopf Lookout provides scenic views and it's a brilliant spot to take photos of the surrounding area. Head to Klosterruine Stuben to celebrate a forgotten period. Go on a hike at Calmont Klettersteig, a well-known local hiking trail. Imagine what everyday life might have been like for the nobility of the past as you tour Reichsburg Cochem, a historic castle. If you're seeking a place to quietly contemplate the religious aspects of life, go to Catholic Church of St Martin. How Much is a Hotel Room in Burg Arras? Hotels in Burg Arras start at $70 per night. Prices and availability subject to change. Additional terms may apply. Quiet Charming Apartment Overlooks the Vineyards!